The 2nd annual Infused Expo is coming to town this October. This is the premier education event happening in the cannabis industry. Directed towards the; edibles, topicals, tinctures, extraction, concentrates and infusion industries. At this full day event you’ll be educated on many important facets of the industry. Including packaging, dosing, testing, marketing, branding and everything else you need to know when starting a manufacturing business. With some of the who’s who of the top brands sharing how they created successful companies, such as Ed Breslin of Xternal and Maya of Maya and Whoopi. These leaders in the topical category have inspiring stories and have shaped the way for people to feel comfortable using cannabis as topical medicine. 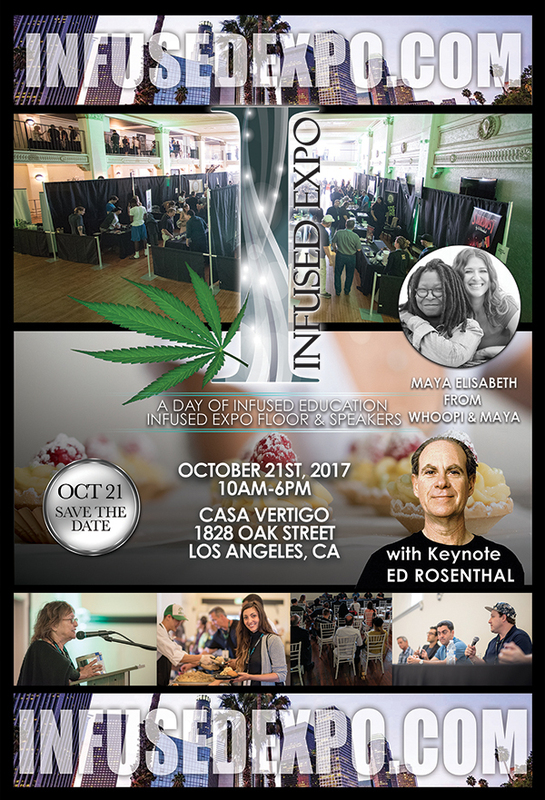 The Infused Expo will take place from 10 am to 7 pm on Saturday, October 21st at the Casa Vertigo in Downtown LA . Also appearing as a Keynote Speaker is, Ed Rosenthal who will be discussing his Stardust line of water soluble instant THC powder. Ed is most well known as the “The Master Grower” within the cannabis community and his bestselling book, “How to Grow Marijuana” is the only book within the cannabis library that has been reviewed by The New York Times. 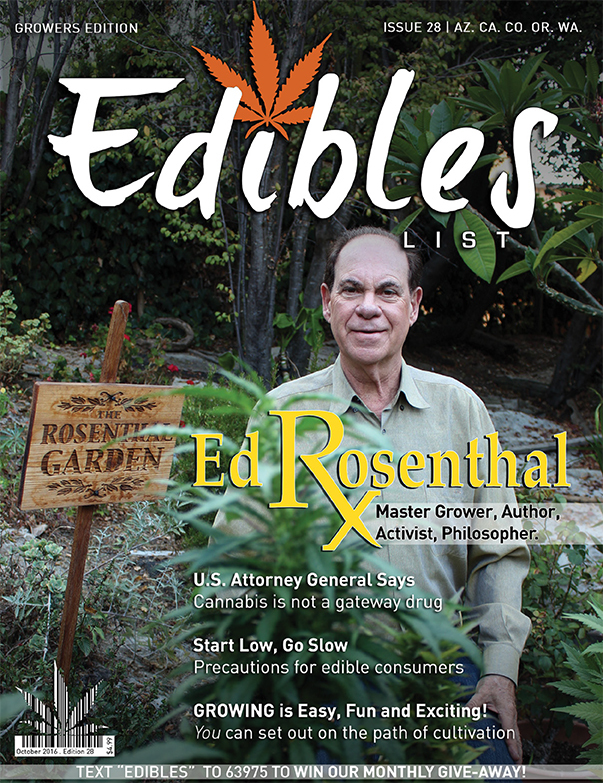 Ed is in high demand as his insight and information are coveted by many in the cannabis industry. At the end of the day at the Infused Expo, you’ll feel more prepared to be part of one of the fastest growing areas of the cannabis industry. It is projected that within 5 years this area will grow 30 % from where the edible, topical platform currently exists. Join us for the 2nd Annual Infused Expo in Downtown Los Angeles!